Little Minion Events 4th annual Touch A Truck was a huge success that we were so honored to be apart of. This years event supported an incredible 6 year old named Connor Carrier! Connor has spastic cerebral palsy and is non verbal as well as non mobile. According to his mother Kim, his favorite colors are red and green; and he loves fire trucks, garbage trucks and tractors. He attends the Elves Special Needs Centre in Edmonton and plays baseball! The funds raised at this year’s Touch a Truck will go towards helping Connor get a walker, specialized chair, and a couple of other items to help him keep up with his family! It was an honour to be apart of this event this year. There was such a great turn out , beautiful weather, so many kids smiling faces and the pleasure of meeting Connor. We can’t wait to be involved again next year! It’s amazing to see what a community can come together and accomplish in a short period of time for something so important! 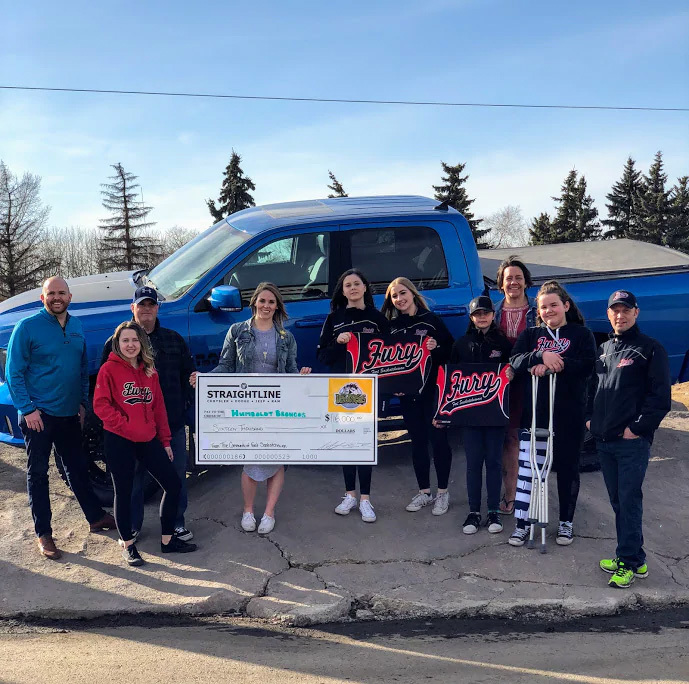 In two short days we teamed up with some incredible organizations and individuals to raise a total of $16,000.00 for the families of the Humboldt Broncos Hockey Team. Thank you to the Fury Girls Hockey team for asking us to team up and make a 3 hour bottle drive such a huge success. Straightline Chrysler told the staff that for every basket they would sponsor the dealership would split the cost with them. The staff came together and were able to sponsor 26 baskets for families in need for the holidays. With a grand total of $3640.00 raised by staff and the dealership! Straightline is proud to give back to the community and proud of the staff for pitching in and helping during the holidays. 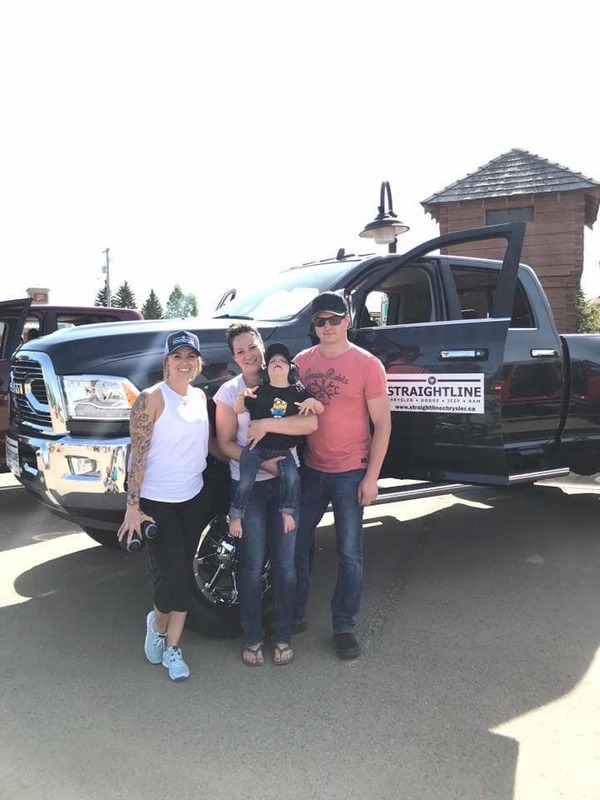 Straightline Chrysler created and was the major sponsor of the 2017 Fort Sask Angel Program. Other sponsor included Concrete Blonde, PSI Mechanical, Mix 107, Families First, Smith Insurance, Fort Sask Coop. 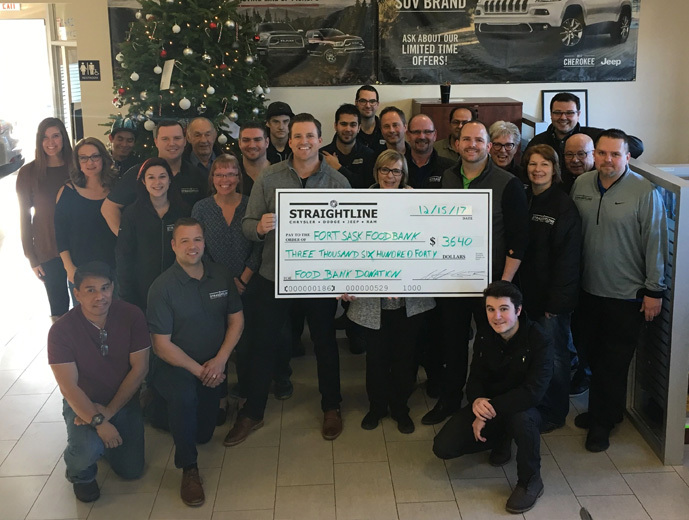 This program was developed by Straightline Chrysler to give back to the Fort Saskatchewan community that supports them so well. 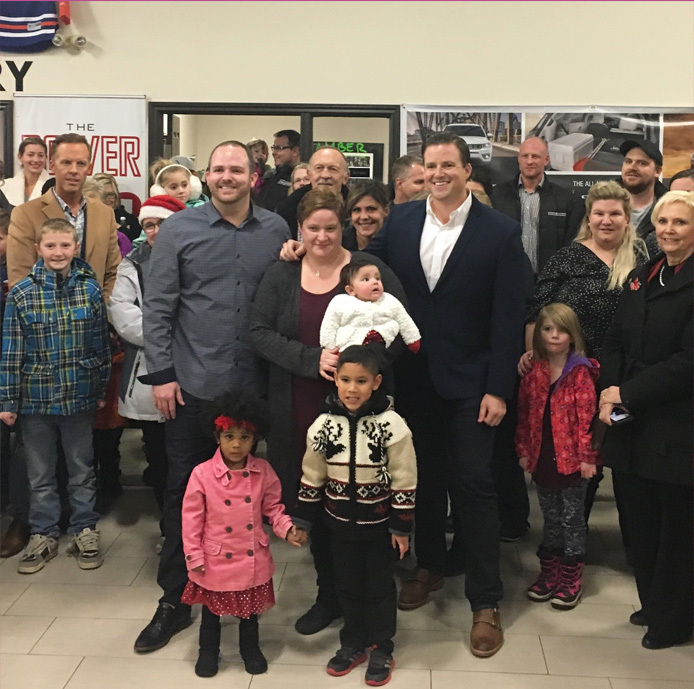 The program was able to provide our lucky recipient Kelly and her three beautiful children some amazing Christmas Cheer and send them home in a 2015 Dodge Grand Caravan with free haircuts for a year, $500 in gas, $500 in groceries, and $2,500 worth of vehicle insurance. 51 Different Families were nominated and each family received a Christmas Cheer basket from Fort Sask Angel and Straightline Chrysler. Another way Straightline gives back to the community. Families First Society is a local charity doing amazing thing sin supporting local families, child development, parenting programs and providing a great facility for all families to utilize and socialize. This society has done so much for the local community with staff and volunteers who absolutely amazing. 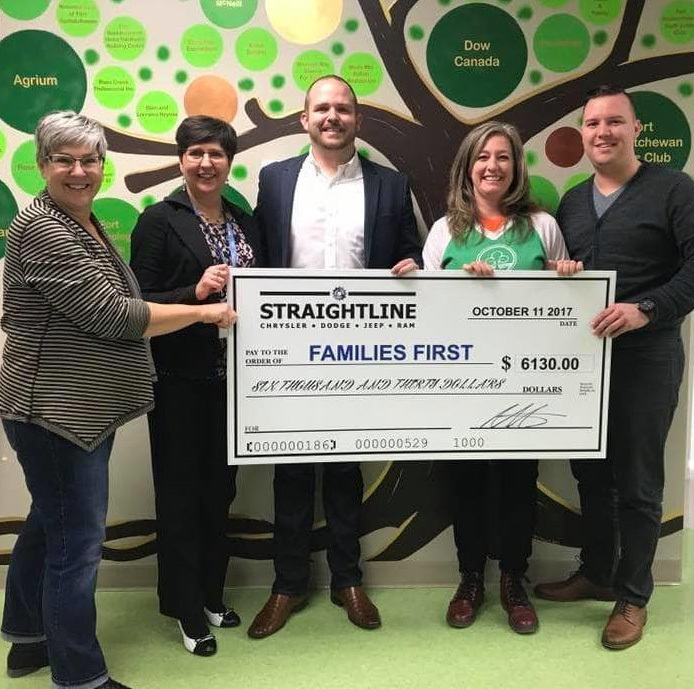 Straightline Chrysler is extremely honored to be able to present them with a charitable donation that will allow them to expand their support to local families. We promise to always support and help grow this amazing organization. 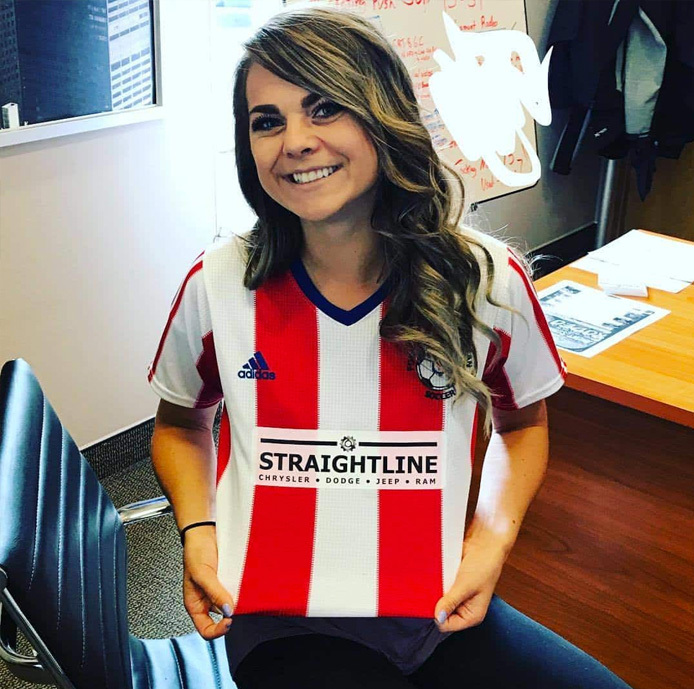 Straightline Chrysler is a proud sponsor of the Fort Saskatchewan Soccer Association. Being a local business-we make it a top priority to help out and sponsor local teams and associations wherever we can! Hope everyone is having a great season on the field. 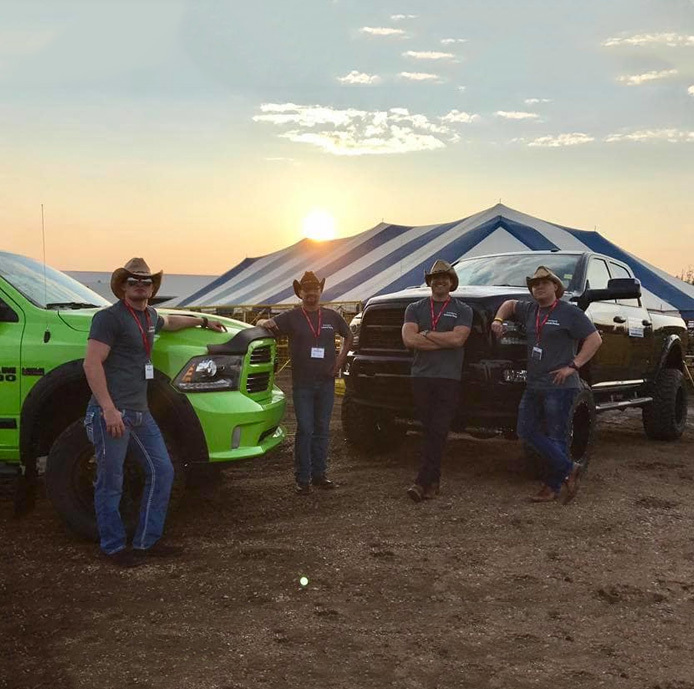 Proud to be the Title Sponsor of the Lamont Summer Sizzler Rodeo!Our donation and sponsorship has helped the Lamont Agricultural society expand their grounds and kitchen, providing an amazing experience to all neighboring towns and guests. We are excited to continue working with this great rodeo for years to come!